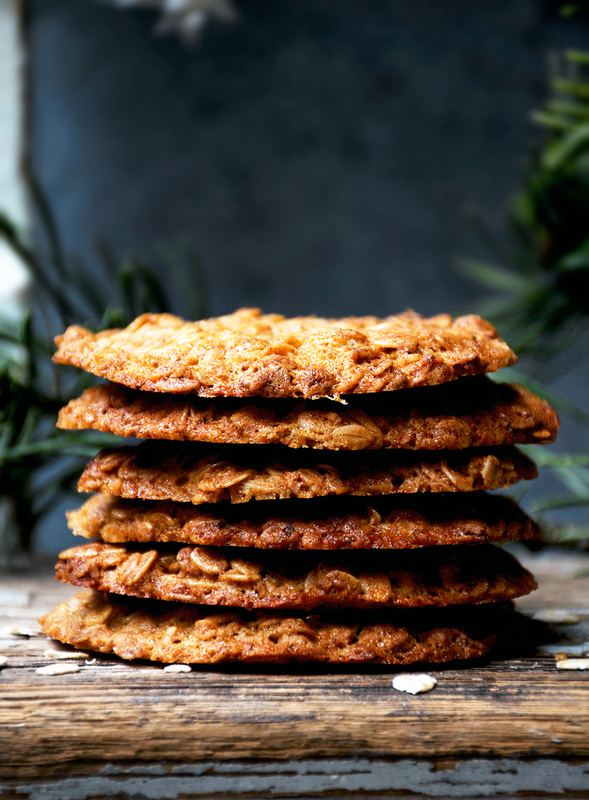 Honey and oat cookies are a lovely treat around the holidays and I often wrap them up as gifts for friends, and these ones are made with healthy whole-food ingredients like spelt flour and coconut oil. Of course they’re not vegan because of the honey, but they are dairy-free and egg-free. A little ginger spices things up and they turn out a little reminiscent of oat florentines, just not so thin. I feel like I’ve tested a million healthy honey and oat cookies over the past couple of years, all with disastrous results. They were either dense little rocks or spread way too much. One batch in particular literally filled the cookie sheet with one giant cookie and I had to peel it off in one great chunk. Finally, success. This version is just the right amount of chewy with a big honey flavour. There’s so little flour in the recipe that it might seem like it won’t work, but it will! I started with dense little honey pucks and worked my way down to this amount, and it’s just right. Graham loved the hockey pucks but he likes the weirdest things. 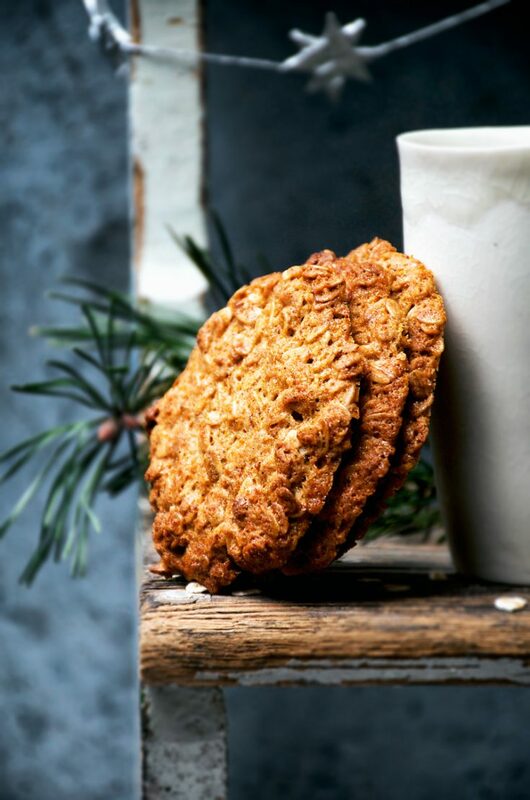 My mom had a cookie book when I was a kid that had this one recipe for giant oatmeal honey cookies, and it was my go-to recipe for cookie cravings. It always confused me a little that the recipe called for about 2 cups of sugar in addition to the honey, though, because it seemed like a honey cookie shouldn’t have sugar interfering. Well, almost 20 years later, I have a proper honey and oat cookie recipe that doesn’t need any sugar (or butter!) and I think it beats the original. 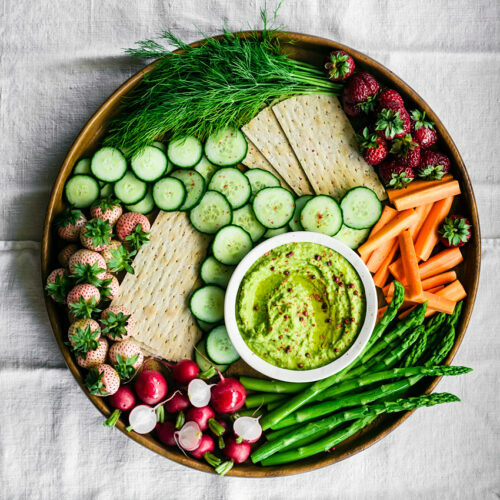 It’s much healthier, really simple, and there are a couple of fun wintery add-ins you can do if you feel like a more exciting oatmeal cookie. 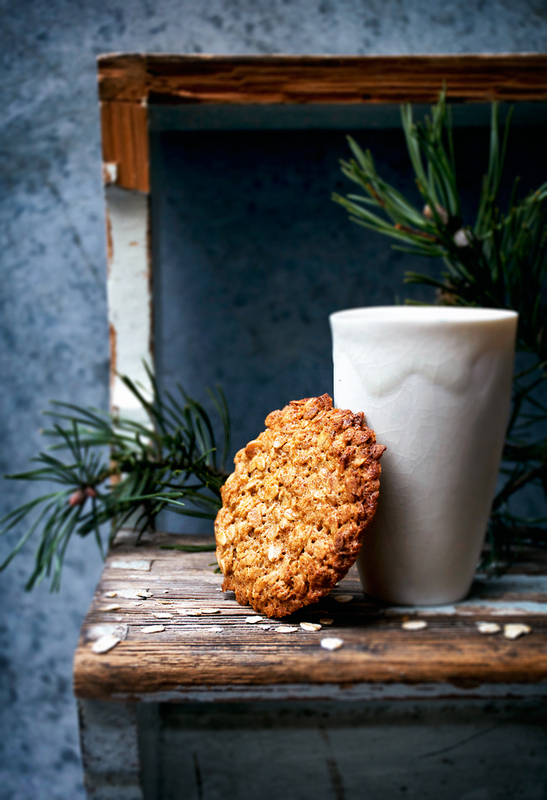 This is the last cookie recipe for a little while – I have some healthy drinks, snacks, and mains coming your way for the new year! This post was meant to be part of a pre-Christmas cookie series (here and here), but I got a little caught up in the holiday and didn’t end up posting before Christmas – sorry! It works as a healthy new year resolution cookie, too! These egg free and dairy free honey and oat cookies are a healthier spin on a childhood favourite, with whole wheat flour and a little ginger for kick. There's no added sugar here, just honey, and the cookies are chewy and soft. Preheat the oven to 180C / 350F and line a baking sheet with parchment paper (you may need two sheets if yours are small). In a large bowl, combine the oats, flour, cinnamon, baking powder, salt, and vanilla powder. Add the raisins or chocolate and the sliced almonds if you're using them. In a smaller dish, whisk together the coconut oil, honey, milk, and ginger. Add the honey mixture to the dry ingredients and stir to incorporate. If it seems too thin let it sit for five minutes to thicken up a little before shaping the cookies. Place two tablespoons of the cookie dough onto the baking sheet and spread it out to about a 1 cm thickness with the back of a spoon. Repeat until all of the dough is used, leaving 6 cm (2 inches) between each cookie to allow for spreading. Bake for 8-10 minutes, or until golden. Remove the pan from the oven and let the cookies cool on the pan for 10 minutes before carefully lifting them off with a spatula and letting them cool fully on a rack. Store in a sealed container for up to 3 days. • To keep the cookies from sticking to each other when you stack them, cut squares of parchment or wax paper and place them in between each cookie. 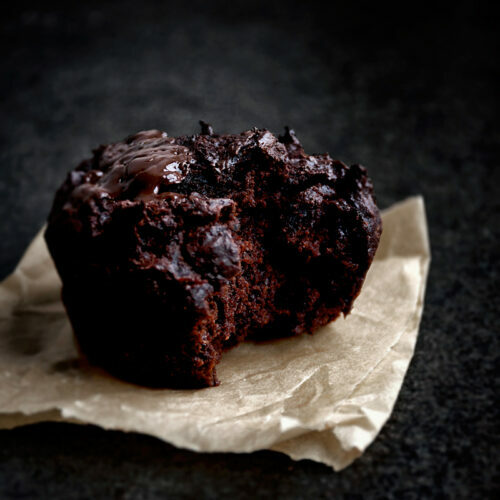 • Use maple syrup or another favourite liquid sweetener in place of the honey to make these fully vegan. * I think this recipe would work with gluten-free flour, but I haven't tested it yet. My recommendation would be something like whole buckwheat, but I can't guarantee anything - if you try it, please let me know! 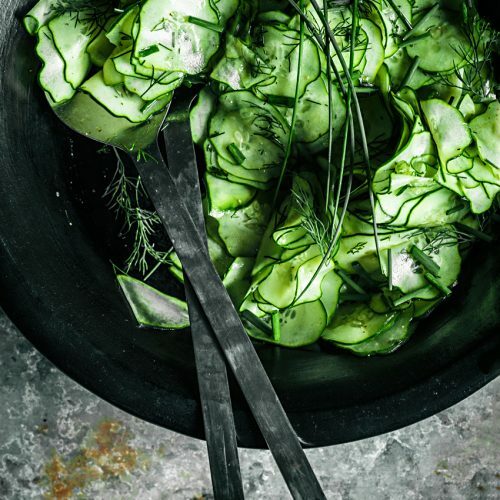 ** I tried this with olive oil, and found the flavour overpowering. The coconut oil helps keep the cookies from falling apart once they're cool, too. 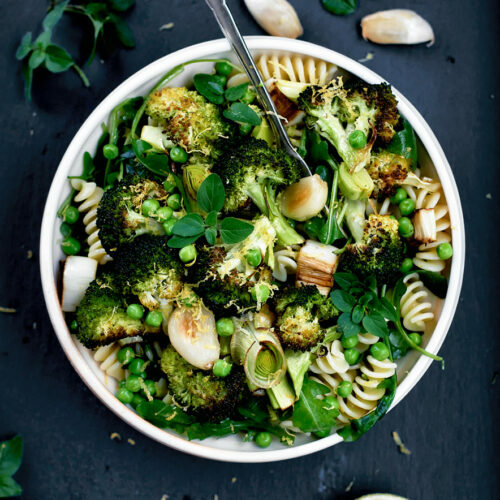 *** You can also use 1/4 teaspoon of ground ginger (just add it to the dry ingredients) instead of fresh, but the flavour will be significantly different. Use ground if you prefer a more traditional flavour, or just leave it out. I'm not big on sweets but I LOVE crispy cookies, these seem right up my alley. I understand the battle with oat cookies! haha and I love that they are dairy-free too! Nicely done, at least it was worth the effort in the end. These look great – and I love the addition of fresh ginger! Happy New Year! Yum, yum, yum! I LOVE spelt flour cookies and haven't made them any in such a long time. I just pinned this recipe to try it out in the new year. Thanks for the beautiful inspiration, Alexandra! Wishing you an incredible 2017! Good to hear, Ayngelina! I don't like overly sweet desserts either. Hahaha it's so frustrating sometimes eh? These ended up being a really nice holiday treat, though.